When senior citizens try out a recumbent bike for the first time, many are amazed at the freedom and comfort they experience, said Susan Tracy, program director for All Out Adventures, a Northampton nonprofit specializing in outdoor recreation for people of all abilities. But seniors aren’t the only ones who find that sports can lead to independence, resilience, and awareness. All Out Adventures operates approximately 150 outdoor programs for people with disabilities. Tracy has taught people how to play adaptive hockey using ice sleds, ride tandem bikes with caregivers, and find solace in the outdoors. Why is it important for disabled people to have an opportunity to experience outdoor adventures? Personally, for me to connect with nature in all its seasons is beneficial not only for my physical and mental well-being but also spiritual. It’s the same for those with disabilities. It’s very healing for a quadriplegic to be able to kayak at Walden Pond and feel the sun and wind on his face and hear the birds. All Out Adventures has a cycling and accessory store. Does that help support your programs? We only sell products that support our mission of promoting health and independence for people of all abilities. 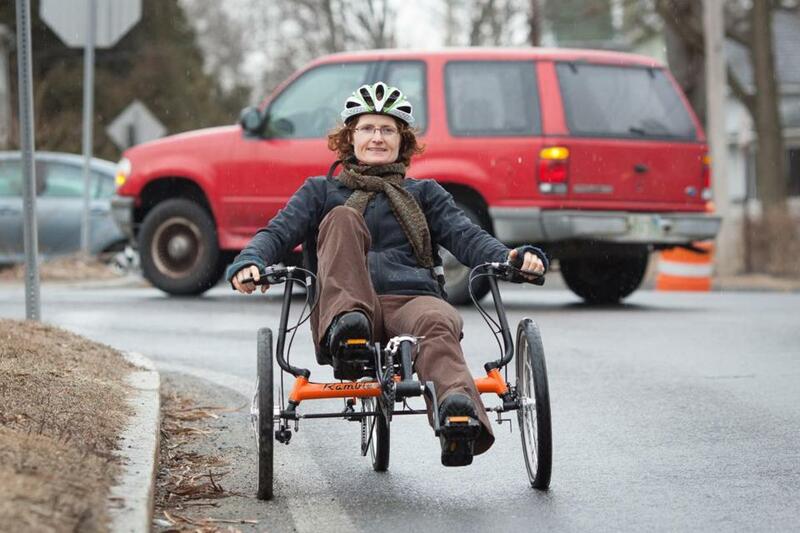 Recumbent trikes offer a more neutral body position than a traditional bike and eliminate the need to balance the bike. Folks with neck, back, and wrist issues as well as those that have had a stroke, brain injury, or other disability find these trikes a way to get exercise and gain freedom. We service the recumbent trikes we sell: Our part-time mechanics hold degrees in kinesiology and engineering. Do you have participants that are aspiring to be in the Paralympics? We are a new Paralympic Sport Club and are looking forward to the opportunity to work with aspiring Paralympians. We promote Paralympic awareness and direct interested competitors towards the appropriate training. One of our participants is an aspiring Parlaympian in sailing. She has a spinal cord injury and is hoping to compete in Rio in 2016. Can you leave us with a story about how outdoor recreation can change lives? We had a stroke victim try a recumbent bike. Since his illness nine years ago, his only form of leg exercise was lying in bed while his wife moved his legs for him. He was able to pedal by himself, and his wife watched with disbelief and tears in her eyes. A whole new world of opportunities opened up for both of them that day.